There’s usually one on any given block — you can spot it by the kids doing chalk art and eating Popsicles in the driveway, and the parents chatting on the porch or around the fire bowl (which seems to be on just about every night). It’s the neighborhood hangout house, and it’s where all of the kids (and grown-ups, for that matter) want to be. If you’re cringing just imagining having neighbors lining up to hang out in your yard, that’s understandable: Being the hangout house is not everyone’s cup of tea. But if you love bringing people in the neighborhood together, read on for 10 ways to do just that. 1. Be the bright spot in the neighborhood. 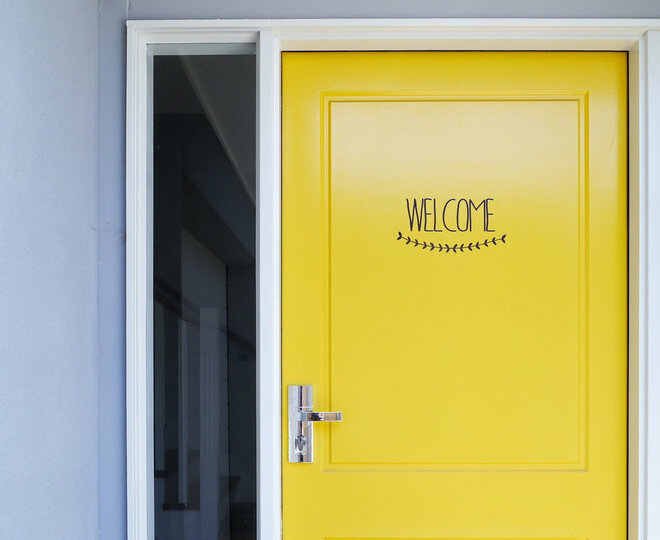 Draw attention to your house by painting the front door a bright, cheerful hue, adding a welcome sign or putting out a bunch of colorful flower pots. A bright, welcoming home sends the message that you want to connect. 2. Put a fun feature right out front. A porch swing or hanging chair will be beloved by both kids and adults, and provides you with a spot to sit and chat with neighbors. 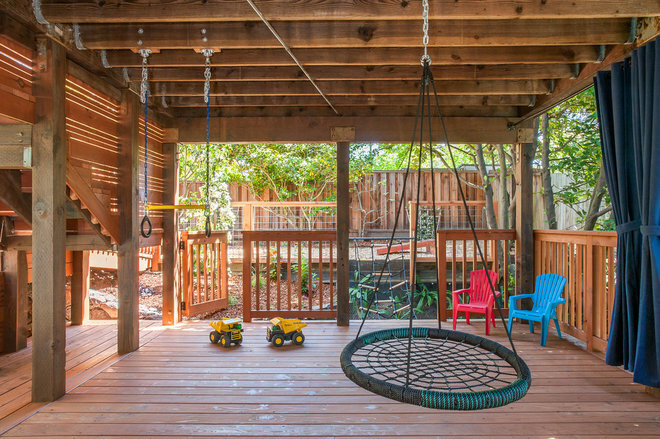 If you have kids, consider making it a tire swing or platform swing that seats two or more, which is pretty much irresistible to little ones — proof that sometimes old-school fun does beat high tech. 3. Start a weekly tradition. 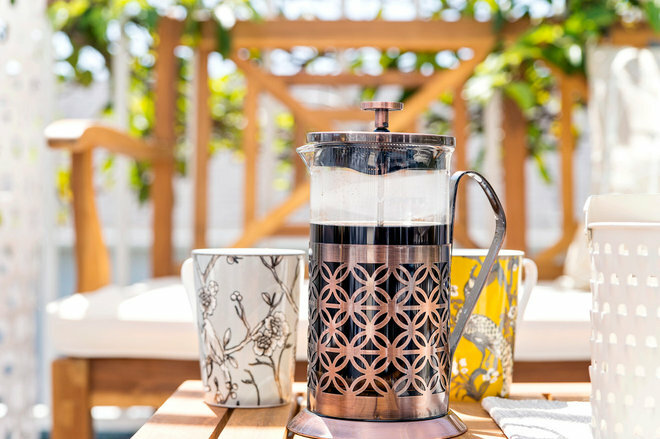 Whether you already have friends in the neighborhood or you’re just getting to know people, setting up an informal weekly porch date can be a fun way to keep in touch. You could do coffee and pastries in the morning, or cocktails one evening after work, and invite neighbors to bring something to contribute. Weekly feels too ambitious? A monthly date would work just as well. 4. 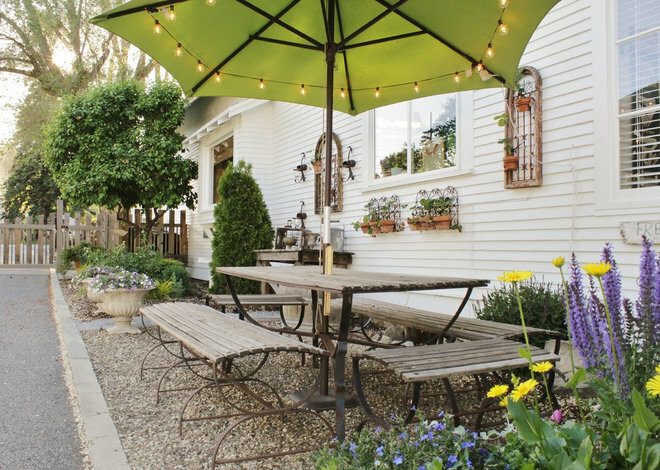 Make dining outdoors a regular thing. Eating outdoors when the weather is fine makes mealtime more fun, and if your table is in view of the street, it’s a natural setting for chatting up neighbors too. 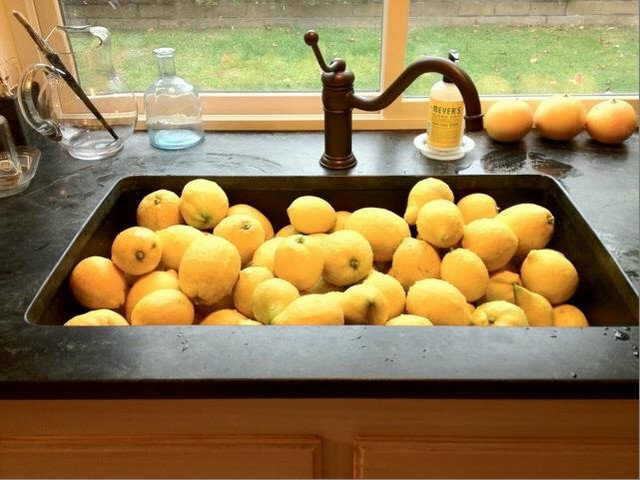 Fire up the grill and invite friends and neighbors to bring over whatever they’ve got to cook — a little of this and a little of that can make a bountiful (neighborly) feast. 5. Be where the good treats are. If it’s friends for your kids you’re hoping to attract, having a well-stocked snack cupboard is a sure way to their hearts. Simple things like Popsicles, lemonade and popcorn are crowd-pleasers on summer days; just be sure to check with parents before sharing. 6. Offer some tempting low-tech fun. 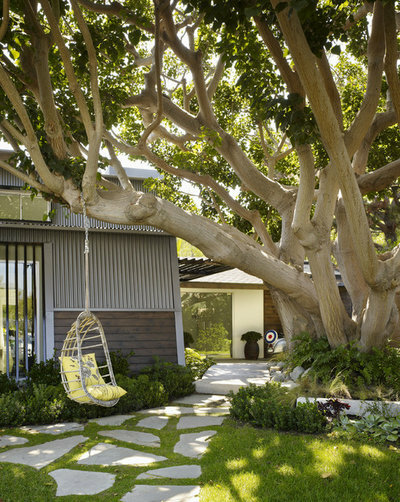 A cool swing or sandbox for little ones, or a basketball hoop in the driveway for older kids, is a natural gathering place. Trampolines, as fun as they are, are not advised for home use by the American Academy of Pediatrics, because they cause too many injuries to be considered safe — something to keep in mind, especially if neighborhood kids play in your yard. 7. Get your garage open for business. Need a good reason to clean out that garage? 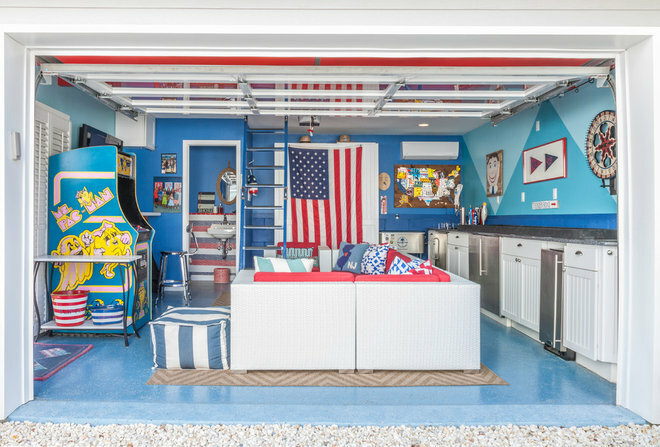 Try a beachy game room like this one on for size. With an old-school arcade game, laid-back outdoor furniture (no worries about Popsicle stains here) and even a shuffleboard table along one wall, there’s something for everyone. 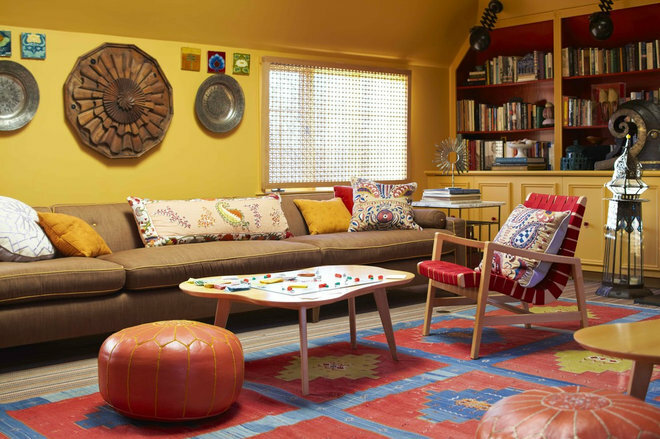 Revamp your own garage to suit your taste — make it a media room, an arts and crafts center or a bar for the grown-ups. 8. Set rules that make you happy and relaxed. If having neighborhood kids in your house or running around your yard unsupervised makes you nervous, set some limits right away. 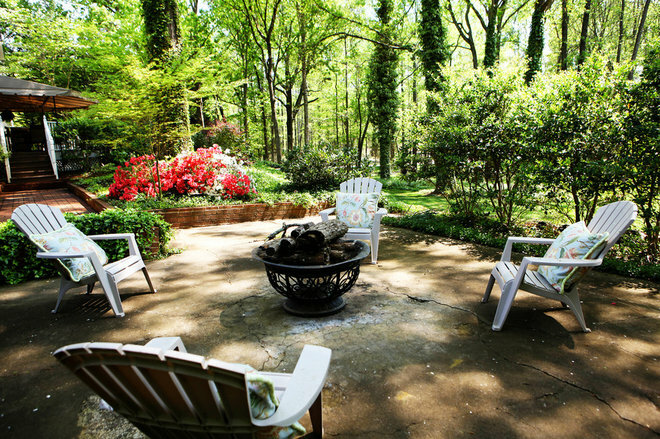 It’s your home, and being clear and upfront about your expectations is the best way to keep hangout time fun — without letting resentment build. 9. Say yes to imperfect gatherings. Even if things aren’t perfect, or you were hoping to have more seating, or you have no idea what’s in the fridge — just say yes. The more you practice saying yes when things aren’t perfect (and they never are anyway), the easier it will get. Remember, your friends and neighbors care more about your genuine presence than the details. 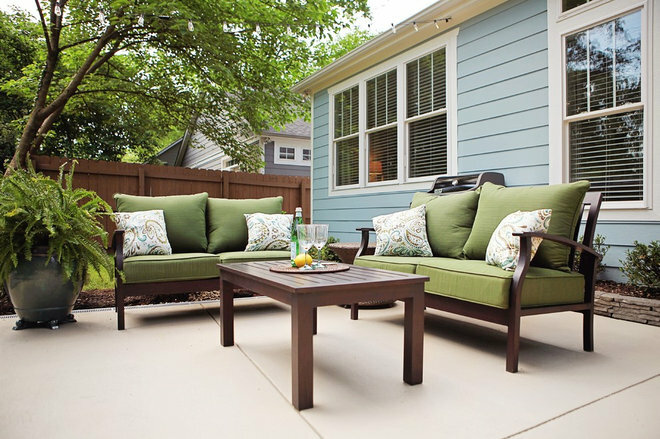 Tell us: Is your house the neighborhood hangout hub, or is that the last thing you’d want? Have fond memories of hanging out at a neighbor’s house growing up? Share your stories in the Comments!